Here I am, trying to join the 21st century and figure out how people can easily add blogs to FTF. Blogging sort of confuses me, even though several people have tried, many times, to explain it. I just can’t quite wrap my head around it. 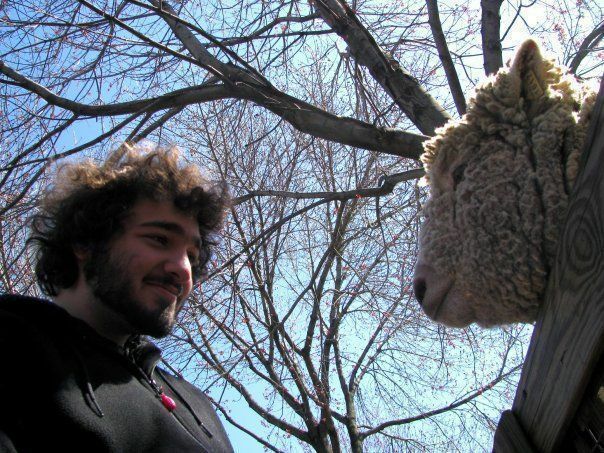 Speaking of heads, that’s son Jesse, having a curly-tete a curly-tete with a sheep at the Queens Zoo. Apparently, a blog is different than a post on a message board. It is something you as the blogger “own,” as in “John Doe’s Blog.” Only John Doe writes in his blog (I believe these are called “posts”) and readers can then “comment” on them. You can also comment on bulletin board posts, but it’s not the same thing. A bulletin board is more of a conversation (I think) and a blog is more like your diary in which you make successive entries. Can anyone let me know if I’m on the right track, and, if not, put me there? Many Thanks! Next Article Next Article Airport Lounges – Let Us In!